The Neighbourhood Weekender team have been feverishly working since last Wednesday behind the scenes to get the Festival ready for what is looking to be a glorious bank holiday weekend. With just a few days to go we have been given a behind the scenes look at the site as it takes shape. More photos to follow as we get them. 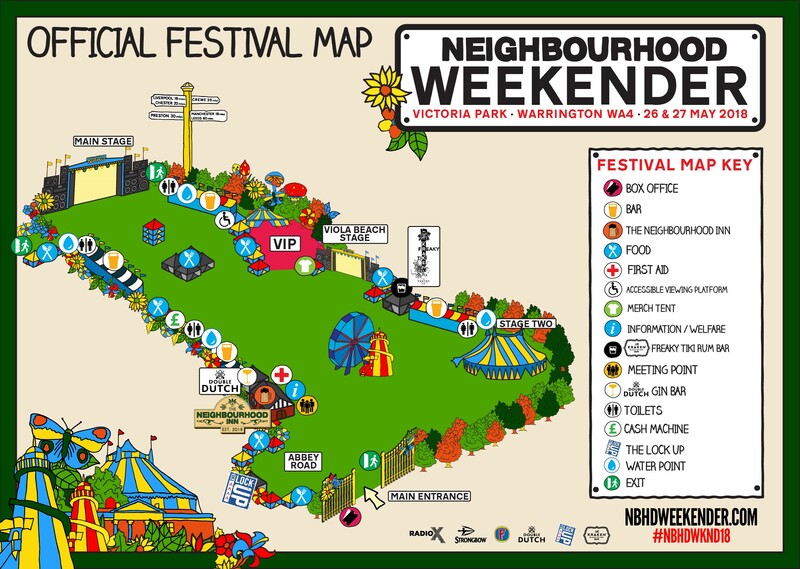 Find the full line up here, or on the Official Neighbourhood Weekender app, available on iPhone and Android. We will be bringing you plenty of coverage through WArringtonMusic.co.uk with lots of pictures. Many thanks to Kara at SJM for photos from the Victoria Park Site.